One thing many students regret not doing is ‘travelling’. Many young people now realise that it is best to travel whilst a student because just a couple of years down the line, they know that they will have to look for jobs, pay bills, settle down and so on. Hence it is best they make the plunge while they can. Nowadays, more and more students are taking up the challenge and travelling abroad. They know that the world has become smaller and stiff competition in the corporate world demands broad minded individuals. This is why you’ll find that students travel around the globe during or after their studies. While travelling many students find jobs that will help them for their travels such as academic writing jobs, local bar jobs and even part time teaching. Students realise the value of international travel, being able to connect to various cultures and learning useful skills such as new languages, networking, learning to deal with scarce resources. Students take such challenge with vigour, passion and excitement about what they may find and what cultures they might run into. But out of all the places to visit in the world which places are the best for student travel? Which places that really take students fancy when it comes to a travelling destination? There are a whole load of places that are available with the sort of things that students are looking for. Australia is a popular one as students see it as a relaxing sunshine destination and the familiar English language. Thailand also draws a lot of people as it is cheap and exciting to explore. Europe also draws people in as they are able to see a lot of places in one trip. They can travel through mainland Europe and visit France, Germany, Spain and many more in one go. What is the other country that draws a lot of attention from students around the world? India! India is a big, big attraction for students. It’s not hard to see why. It is a country that’s steeped in history, the interesting facets of various religions, and exciting culture and cuisine as well. Let’s take a look at why students prefer to visit India. Built in the 1600’s and with a name that literally translates to ‘Crown of the Palace’. This landmark is a reason to visit India, completely on its own. It was originally built as a resting place for the Mughal Emperor’s favourite wife, but it also includes a large mosque, a gateway called the “Darwaza”, guest house and two red sandstone buildings that mirror each other. Its architecture is largely inspired by early Persian and Mughal architecture. It’s grandiose design and beautiful white marble materials attract tourists and students alike. This landmark is particularly interesting for students as the Taj Mahal has been named one of the worlds ‘universally admired masterpieces of the world’s heritage’. Everyone is spiritual in some way or the other. Many are discovering their spirituality and this is one of the major reasons you see so many flocking to India when they have the money and time. The country is a spiritual centre with many places to visit some of which include; Bodhgaya, Rishikesh, Kedarnath, Haridwar and Auroville. These are all fantastic spiritual spaces that will expand your understanding of yourself and the world around you. India is a country that amalgamates all the major world religions in one place so no wonder India is a place where one finds spirituality. 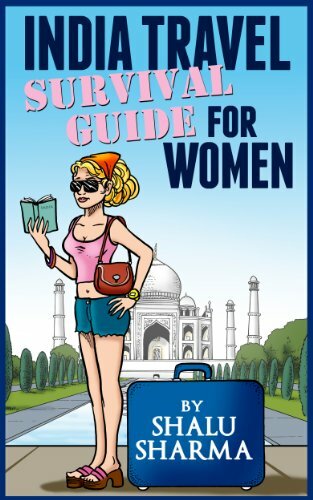 Great thing about travelling in India is that you can not only experience India but at the same time do various types of freelancing jobs on the go. Varanasi is one of those places where vast numbers of tourists have made their home while working using computers. Imagine a place where you can go for beautiful boat rides along the River Ganges in the early morning and then doing your work in the evenings. This is one of the most amazing spiritual and invigorating experiences you can have in India, and especially if you are a student! You’ve been working hard all year, struggling to get the grades you need to excel and progress in your course. What better way to celebrate it then travelling down the beautiful River Ganges on a boat with your friends, your significant other or even on your own. India really does have it all when it comes to giving students an experience they will never forget. The people are welcoming and eager to make tourists and explorers feel at home. Picturesque landmarks, positive spirituality, beautiful boat rides and safaris. You think of it, it has everything one needs from a holiday. It has everything you need to cool down from the hard work that you’ve been struggling throughout the year. Save up some money or even make money while you travel and get out there as soon as possible. India is waiting for you! The information provided in the article is useful & being a travel blogger from varanasi, I would realy appreciate your work. Thanks for sharing this article. It was informative. 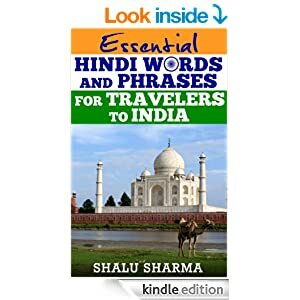 I am also writing a blog on places to travel in India. Maybe you can check it out. In India the Huge Country you will find lot of places one will enjoy a lot , there are some places in India which one should always look visit once in lifetime. India is having very good place as it is huge country to go around .I love to travel entire india once. do not forget the street food! India is a very huge and good place. A very awesome blog post. We are really grateful for your blog post. You will find a lot of approaches after visiting your post. I was exactly searching for. Thanks for such post and please keep it up. Great work. Nice blog. Through traveling this place we can explore Indian culture. I would also like to visit here through rental car only so that I can enjoy the trip. 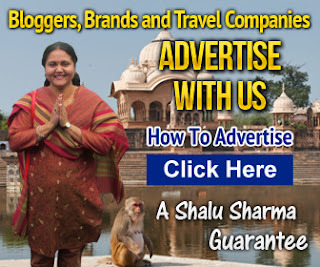 Hi Shalu, I really appreciate your thinking that, everyone should travel as a student. But not only India, they can visit anywhere what they loves to explore. India is ideal for students because it has the essence of all modern, spiritual, cultural and advanced that is essential to absorb as a student. Awesome article!! I hope in this life I’ll explore all the tourist destinations in India. This Post has motivated me to again pack my bag and commence my journey. Your taste buds can have a feast here in india. You have written such a beautiful Article Mam on the Indian Culture ! Just loved it ! I will be coming back to read more 😉 ! 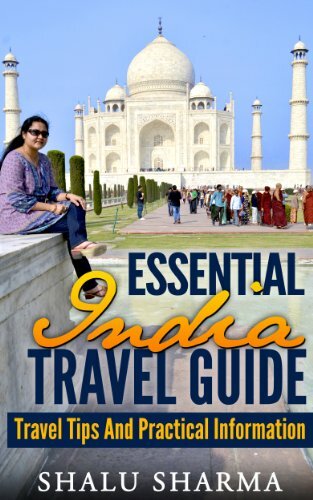 Hi Shalu, Thank you for such a beautiful article, travelling is always fun but it is difficult and expensive and if you are a student even more. I think in this prospect India is one country that you will definitely consider visiting as it is very cheap to live here, the food is cheap and even the places to live. I think not only the spirituality but also the vast history that we have in our country adds to the reasons to visit. India has got many finest and well preserved monuments, not only Taj Mahal but also Bodhgaya, Elephanta Caves and of course the temples of Khajuraho. Anyone who is interested in the rich history of India and its deep roots will definitely get a lot to study and look around. India is big country and have many nice places to travel. Motivated article to start the journey. Good points on Indian culture. Your reasons to travel are amazing. Great round up! We’re hoping to visit beautiful India next month. Thank you so much for sharing these awesome places. hey shalu, you post some very informative articles. I hope to visit as a tourist soon. Great. India is one of the best place to visit as a student. Thanks for sharing this article. It was informative. I am also writing a blog on places to travel around the world. Maybe you can check it out. As Indian, I always want people from outside India to come to visiting different monuments and covering different beautiful places which are present here. So in my opinion visiting India is great cause it can be done being a student or without being a student. Otherwise, such a great post which engage me in reading the complete blog post.